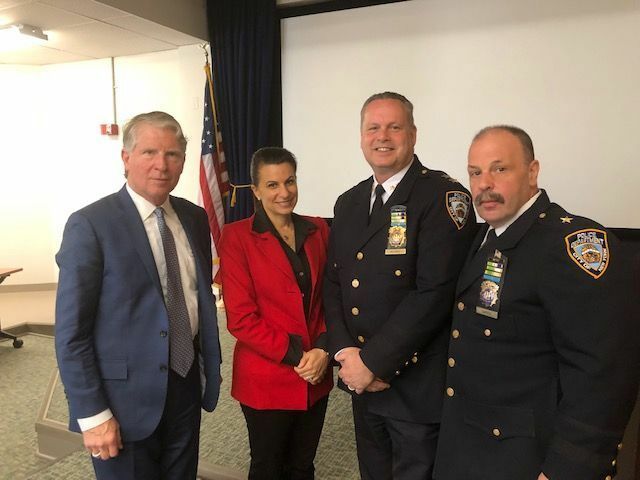 Manhattan District Attorney's Office – Moving justice forward. 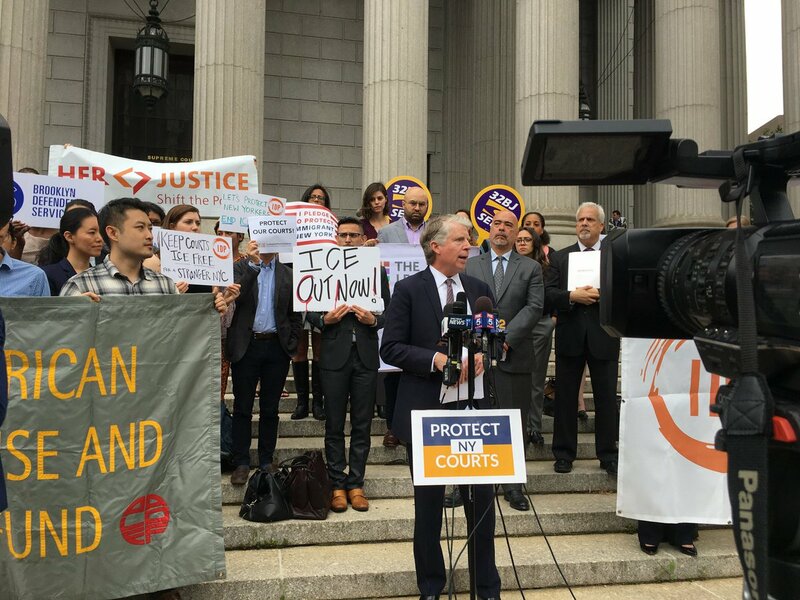 As Manhattan District Attorney, Cy Vance, Jr. has made the advancement of criminal justice reform part of the mission of the District Attorney's Office, right alongside our centuries-old founding mission of public safety. Learn about our special initiatives to reform the justice system and fight 21st-century crimes. DA Vance has made justice reform a part of our mission, right alongside our founding mission of public safety. Our strong partnerships with Manhattan communities help prevent crime and reduce involvement in the justice system. Sexual violence affects all communities and workplaces. We ensure that survivors are not just heard, but given equal access to justice. We’ve developed partnerships, technology, and expertise to become a national leader in cybercrime prevention and prosecution. Since 2010, our proactive investigations have led to the removal of more than 1,700 guns from New York City streets. Because Manhattan is a global financial capital, our Office is uniquely positioned to fight white-collar crime. Until a few weeks ago, sinmed was one of the largest drug vendors at Dream Market, the foremost dark web bazaar. In recent years, drug trafficking on the dark web has exploded, as drug traffickers and other criminals have discovered that its anonymity makes it ideal for illicit transactions using cryptocurrencies. U.S. and New York authorities said Monday that they've reached settlements totaling $1.3 billion with the UniCredit banking group to resolve investigations related to transactions processed allegedly in violation of sanctions. 👏 👏 Thanks to a new @NYSCourtsNews policy, immigration authorities are no longer allowed to make arrests in courthouses without a judicial warrant. 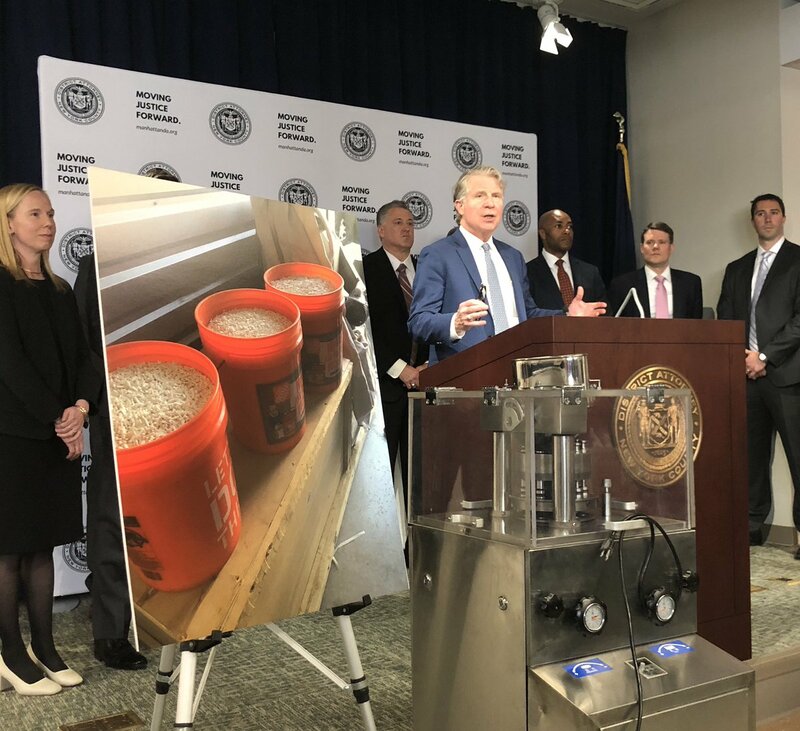 Today we’re announcing the takedown of a storefront on the dark web that made, sold, and shipped fake Xanax 💊 to buyers in 43 states, and laundered $2.3M of the proceeds using cryptocurrency. 👏 👏 Thanks to a new New York State Courts policy, immigration authorities are no longer allowed to make arrests in courthouses without a judicial warrant.